every year, during the weekend before thanksgiving, my ballet studio has their annual performance. 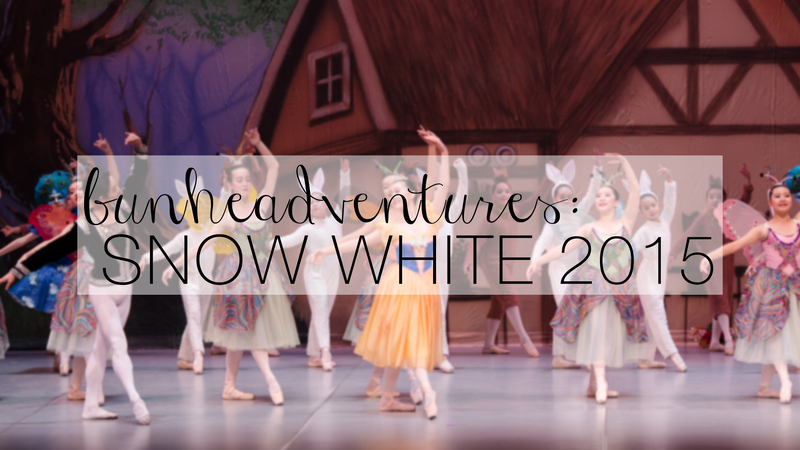 the production is always different and this time we did SNOW WHITE & THE SEVEN DWARFS. (which i thought was perfect since i just finished WINTER and i could channel in all the inner snow white feels) i would’ve uploaded these pictures sooner, but i was recovering from the exhaustion that is PERFORMANCE. i love performance season. i thrive for the cool days rehearsing indoors; i live for the feeling of standing in the curtains before stepping in the stage lights. if i’m being completely honest with you, i don’t looooove ballet. i love the feeling of going on stage and performing; i just chose ballet as my outlet to do so. i’m usually equally excited and nervous for the show, but this year i wasn’t nervous at all. it was weird. i think i didn’t realize we were performing until it actually happened. and when i stepped in front of the audience, i was – for the first time – telling a story instead of worrying about my swollen ankle (yeah, there was that) or messing up that pirouette. i guess, for the first time, i was reaaally performing. and it made me really happy and relieved and sad at the same time. but most importantly, it made me want to dance more. i guess that’ll be my motivation when i spend the endless hours in the studios.